Keith Calder was born in 1959 in the small town of Cradock, South Africa. 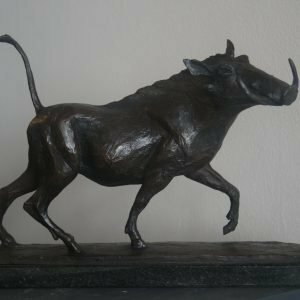 On completing school in Johannesburg, he undertook a diploma in nature conservation and spent the next ten years in that field, working throughout Southern Africa. Whilst working in the northern Kruger Park he contracted malaria. During his recuperation he started to explore his interest in sculpture. 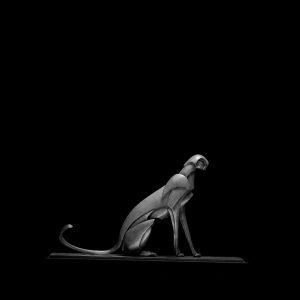 He spent a month sculpting and modeling in clay. That month marked a year of transition for him as he vacillated between his commitment to conservation and a possible career in the arts. He spent much of his free time honing his skills as a sculptor. 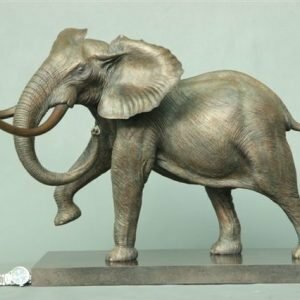 In 1987 the decision to leave the bush and become a sculptor was made easier when he received his first important commission from St Stithians College in Johannesburg: a herd of nine elephants in bronze symbolizing the college motto ‘one and all’. 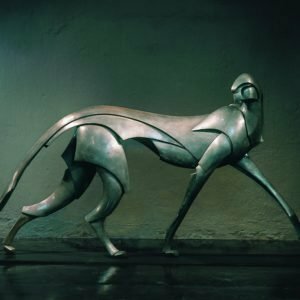 Calder’s work ranges from miniatures to life-size to monumental sculptures and is well represented in institutions and corporations throughout South Africa. ... His style is instantly recognizable by its realism and his ability to capture the character of his subjects stems from his intimate knowledge of them. 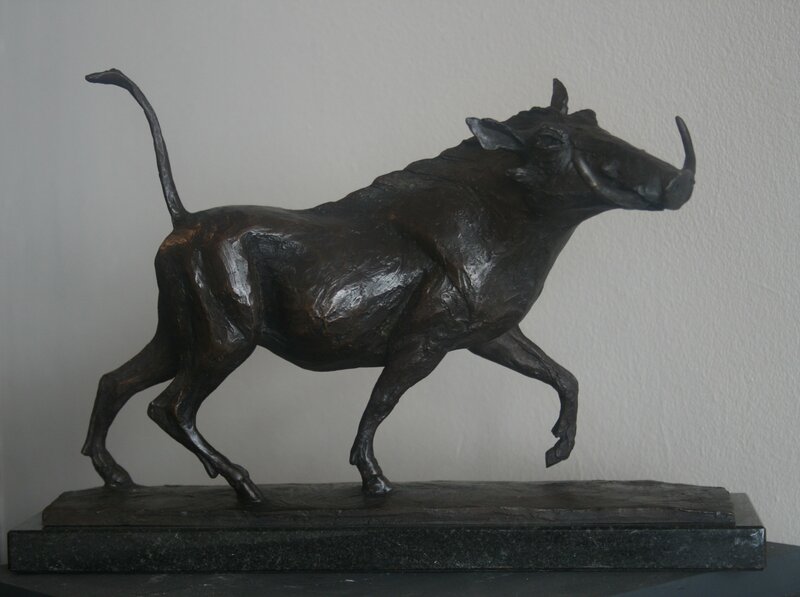 “To be able to draw upon the power and beauty of wild things and portray them in sculpture is a great privilege for me. Perhaps they symbolize our purer selves or jolt our deep seated ancestral memory of when we once lived closer to the earth” In 2002 Calder began to search alternative way to sculpt the human and animal form. He extended lines, expanded planes, reduced texture, detail and sentimentality while still maintaining a loyalty to natural form. The sculptures that emerged are difficult to define stylistically. There are elements of the abstract, cubism and futurism. 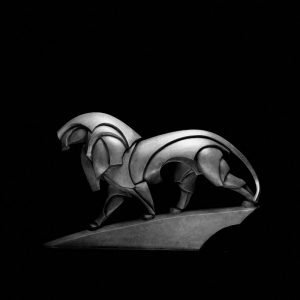 Some have an almost stylized art deco feel but are all immediately recognizable as a “Keith Calder” His most recent large work in this style is of a larger than life-size leopard entitled “Vindicta”. With this piece he has used varying textures and metal degradation which speaks about imperfections in perfection or “Wabi Sabi”. An ancient Chinese philosophy referring to the beauty of imperfection in man-made objects. 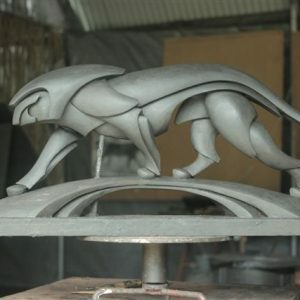 More recently, he has been sculpting the human and animal form in a realistic manner. Many of these are of dancers and others are metaphors for the human experience through the use of the animal and the human in one sculpture. “Working in these two very different styles allows me to move between reality and fantasy. The one, reality, requires a fairly disciplined interpretation of form while the other allows me greater freedom and a less sentimental way of expressing my work”.